In spite of what you might have heard, standing right in front of Cinderella's Castle in the Magic Kingdom is not the best place to view Wishes! If you stand right in front of the castle, you will be looking almost straight up and will miss a lot of the fireworks. 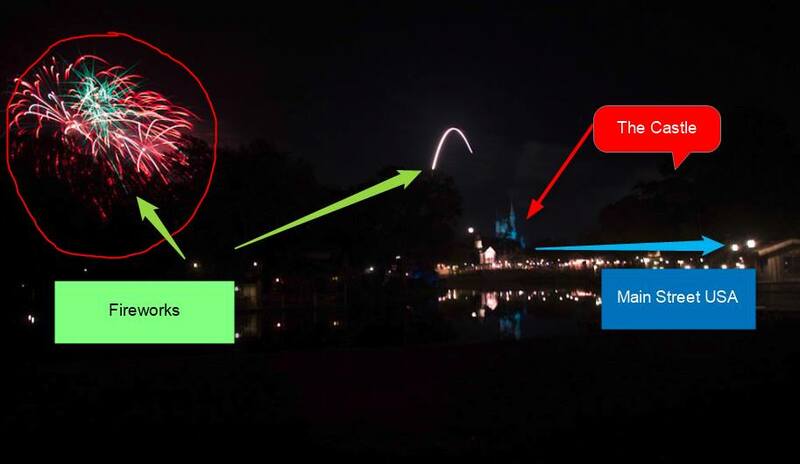 Disney World Advice - Tips for watching the Wishes Fireworks in the Magic Kingdom at Disney World. Here is a side view of Wishes (Christmas Wishes to be exact!). You can see how far away some of the fireworks really are! Do you have any questions about Wishes or watching the show? Let me know! About the Author: Monica is the most experienced agent at Build A Better Mouse Trip, a travel agency specializing in Disney World and Orlando theme park vacations. Click here to read Monica's full bio.